Simply put, this bad-boy is going to be shipped back for a full refund. After testing it for 3 days now, I can say that this battery is buggy and just does not get the job done. The battery only stays at 4 bars "full" for about 10 minutes then drops to 3 bars - this after charging it for 8 + hours over night and all day until the evening yesterday. The battery lasts for a good 5 hours, only 1 hour longer than the stock battery which is not what was advertised. Not to mention it is buggy; sometimes the Gamepad will just shut off completely during gameplay and I'll have to press the power button again to get it to "wake up" and start again and I have checked the connections on the battery and I can't get it connected any better than it is right now. Also when the battery light starts blinking, if I turn it off and on again, it says I have 2 bars of power left......then of course after a couple minutes it starts blinking again and dies quickly. I tried and tried to give this battery a chance but upon even further review, it seems to have very much to do with the black connection plug that inserts into the slot to keep the battery connected. Mine does not "click" in it just kind of "fits" snugly, on the other hand the original battery does click or snap into place and all is well. 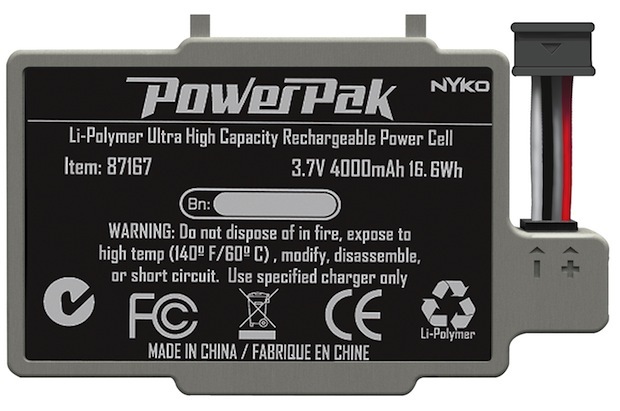 Both plugs on the original battery and the Nyko battery seem to be the same in shape but obviously they are different enough for the Nyko version to fit just enough on the loose side for the battery to get efficient power to keep a charge or to charge it fully over a longer period of time. I plugged in the Nyko battery and held my finger on the plug to keep it tight and it showed 4 bars of charge, but when I let it go it went right down to 3 bars and continued to be inconsistent with it's charge. 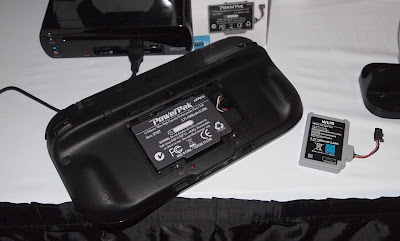 This is including the Gamepad loosing connection completely with the battery and having it shut off totally even with the battery seemingly still connected. This all looks to be a design flaw by Nyko and hopefully they fix this and do a recall of the product. To say the least I am very disappointed that this didn't work out for me but I'm not alone, there have been numerous reports of this battery having similar problems for other gamers as well. The thought of the battery lasting 10 hours must have sadly been too good to be true.